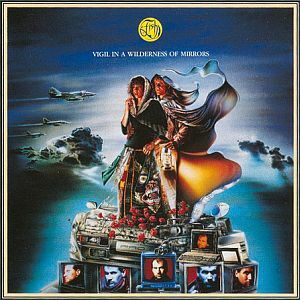 Vigil in a Wilderness of Mirrors begins promisingly, seemingly starting where Fish-era Marillion left off with the haunting and dramatic title track that effectively combines personal and political lyrical themes set against some lovely melodic motifs. The other highlight is The Company, an upbeat, anthemic rocker with a sharp edge of melancholy. For me, these two songs are the album highlights, while the reminder seems to occupy fairly standard late-80s AOR territory. While much of the music seems to lack the sophistication that Fish found with Marillion, similarly the lyrics often seem to lack the nuance and complexity of previous Fish recordings; to say that wealth is corrupting doesn't seem particularly original or insightful. Overall, I think Vigil is a good addition to any prog collection, but fear it falls short of the heights of Fish's best work.